The form translation has just become easier with the RSForm!Pro newest feature: the multi-language native support. the component caption and items, the validation message, the default value and the description. When editing a form in the "Mamage forms" tab, you will notice a language selector which allows you to choose the native language, as shown in the above screenshot. 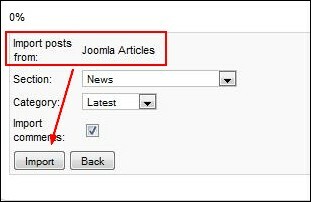 Make sure you have the Joomla! native language pack installed. The new revision comes with some new functionalities, fixes and improvements, from which the most important are the keyword attributes, sitemap protocol and the updated Joomfish integration. The attributes option, included in RSSeo! rev. 9, enhances the existing keywords functionalities. In the newly created configuration option, you can add attributes, javacript codes/triggers, styles and classes.